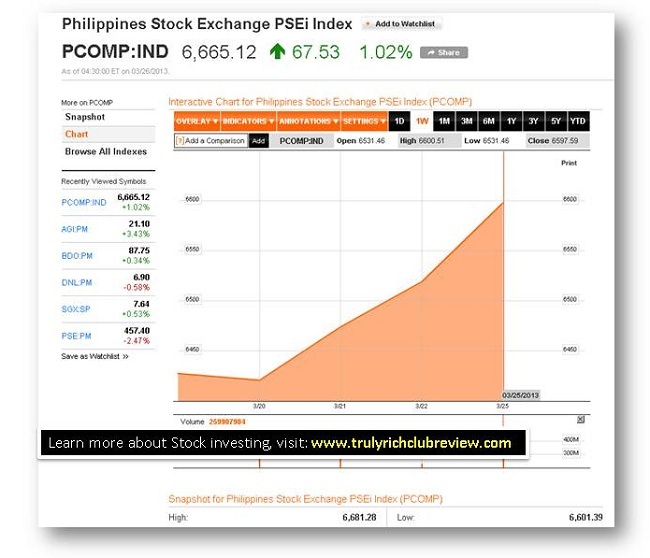 Finally Philippines Stock Exchange PSEi index returns above 6,600 mark as of March 26, 2013. 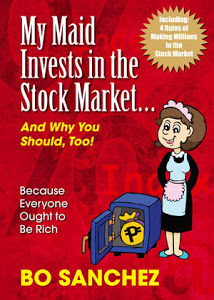 We gained another 1.02 percent or 67.53 points to 6,665.12, the PSEi's fourth consecutive advance after an eight-session losing streak. God bless the Philippines.